This is fun and friendly workshop,suitable for complete beginners. Using up-cycled leather we start in the morning making a small (15 x 11cm) 96 page book with an elastic closure. 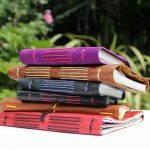 This will introduce you to all the basic bookbinding and leather working techniques. In the afternoon make a larger 120 page journal with a wraparound leather cover which can be designed to take pens or pencils. This book could be closed using a leather tie or incorporating a vintage button. 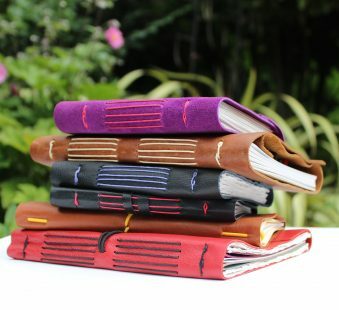 You’ll go home with two stunning and unique up-cycled leather journals and the skills to make more. Nothing, everything is provided. 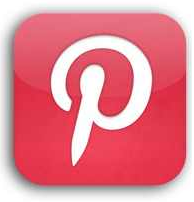 However if you have favourit​e paper (max A4) or buttons you would like to use please bring them along. There will be plenty of upcycled leather and 140gm recycled cartridge paper for you to use, and a large quantity of vintage buttons to rummage through. Please bring a packed lunch or you will have time to pop out to a local cafe. Tea, coffee and homemade cake are provided.